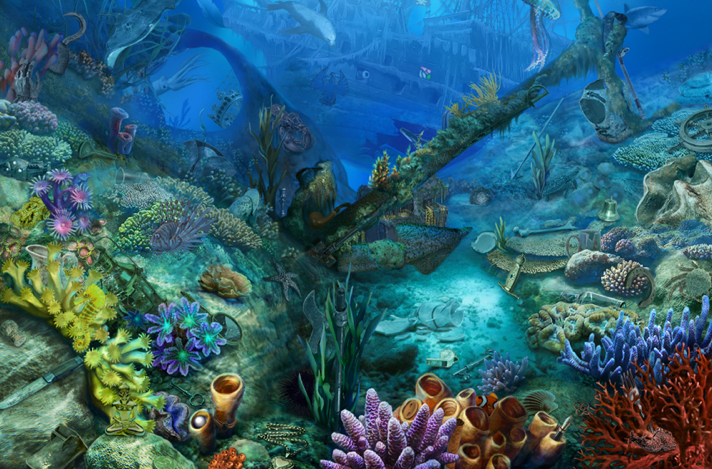 Hidden object games, such as Where’s Waldo, have been popular in all mediums with a variety of ages of game players. But it’s a genre that social gaming giant Zynga has left untouched, until now. 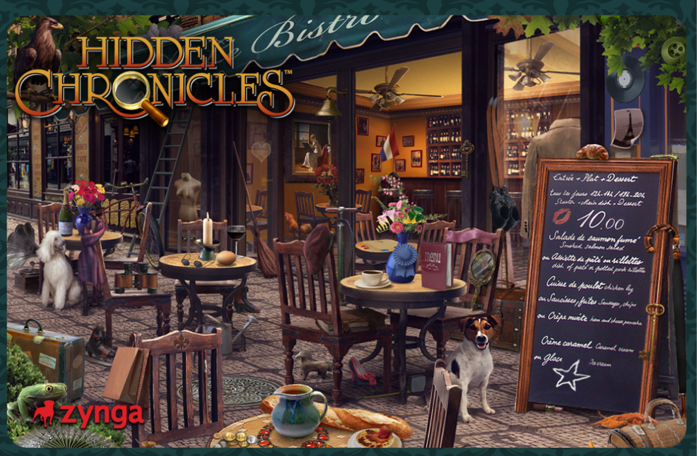 Today, Zynga is launching its first hidden object Facebook game with a social twist, Hidden Chronicles. The game, which will roll out to the public this morning, allows players to find hidden objects, solve puzzles, and unlock mysteries, combining memory, skill, and social gameplay. In a nutshell, players unlock new locations by completing quests, mastering scenes, solving puzzles, and restoring an estate, Ramsey Manor. Players will earn coins, experience points, and unique items to help them customize their estate. As you begin Hidden Chronicles, you’ll receive a letter from your ‘Uncle Geoffrey.’ who has died and said in the letter that he’s left something for you at his estate, Ramsay Manor. At the estate, you’ll be greeted by his assistant who tell you that Geoffrey died under suspicious circumstances, and that you will need to solve mysteries in order to uncover the reason why he died. You’ll then enter a parlor, where you need to find hidden items in the scene. Once you’ve completed the task, the fire place opens to reveal a secret room where you will take on your next quest. As you progress through the game, it becomes more difficult to uncover the hidden objects. 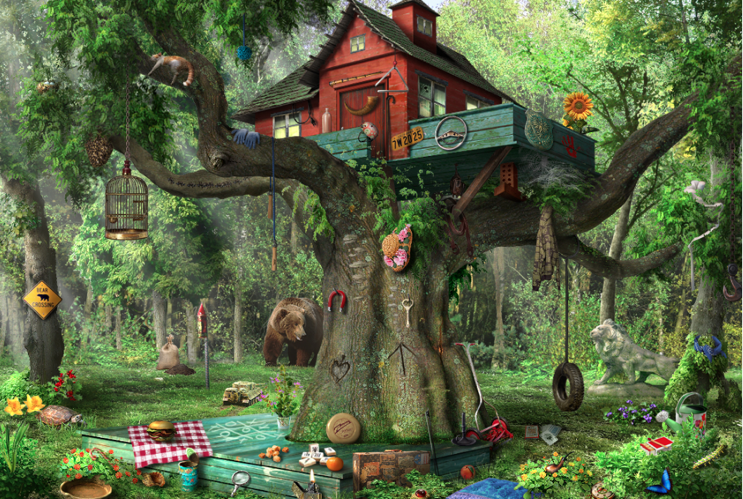 Many of the hidden object scenes include mini-games, from jigsaw puzzles to concentration games, where players can unlock and solve these puzzles and be rewarded with coins and points. In total, there are 50 scenes within the game. 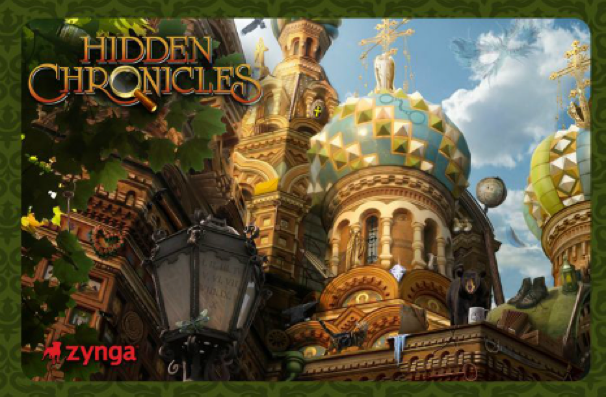 In terms of social, Zynga says that while hidden object games are largely single-player experiences, Hidden Chronicle has been developed with a multi-player, social layer. You can visit your friends’ in-game estate to hide gifts and challenge them to play ‘FastFind’ scenes and find the most hidden objects within 60 seconds. You can also use your friends’ help to unlock various scenes and areas where hidden objects are concealed. Cara Ely, Creative Director of Hidden Chronicles, compares the social game play to that of its Scrabble-like social game Words With Friends, in which players can challenge each other. Another distinction you’ll find in the game, says Ely, is the distinct art style of the imagery in the games. Scenes are designed in a soft photorealism that’s much more realistic and visually engaging than some of Zynga’s previous games. Zynga’s also worked on improving animations as well as the game soundtrack to convey a more realistic game experience. The creative team behind Hidden Chronicles includes co-creator Ely, former creator of the popular Dream Day Wedding series of hidden object games, narrative designer Jane Jensen, creator of the Gabriel Knight series of PC games, and art director Margaret Foley-Mouvais, former art director for titles such as “The Lord of the Rings” and “The Godfather,” and lead product manager Nancy Hang. Hidden Chronicles will be available in 15 languages: English, French, Italian, German, Spanish, Portuguese, Turkish, Swedish, Thai, Dutch, Norwegian, Korean, Traditional Chinese, Japanese and Danish. Ely also explains that Zynga structured the game more like a season of TV show. “You have a story written and an outline of where it will go, and new characters will be introduced as you play,” she says. In terms of mobile, she adds that there could be potential for the game to live interactively in tablet devices, but there are no current plans to bring Hidden Chronicle to Android or iOS yet.